In the market for a pillow, but don’t know where to start? Right here is a good place. Say hello to the eLuxurySupply Revoloft pillow. 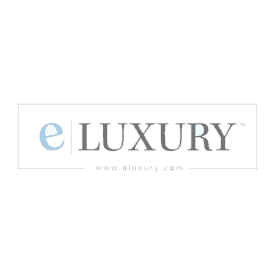 eLuxurySupply has been creating quality sleeping products at a very low price for quite some time now and is looking to help round out your bedroom with their latest addition to their pillow line. Does the Revoloft pillow have what it takes to become another hit from eLuxury? Continue reading below to find out! With a medium loft, the eLuxurySupply Revoloft pillow could be ideal for back or stomach sleepers. Enjoy 30% off your purchase with code SleepopolisReview! 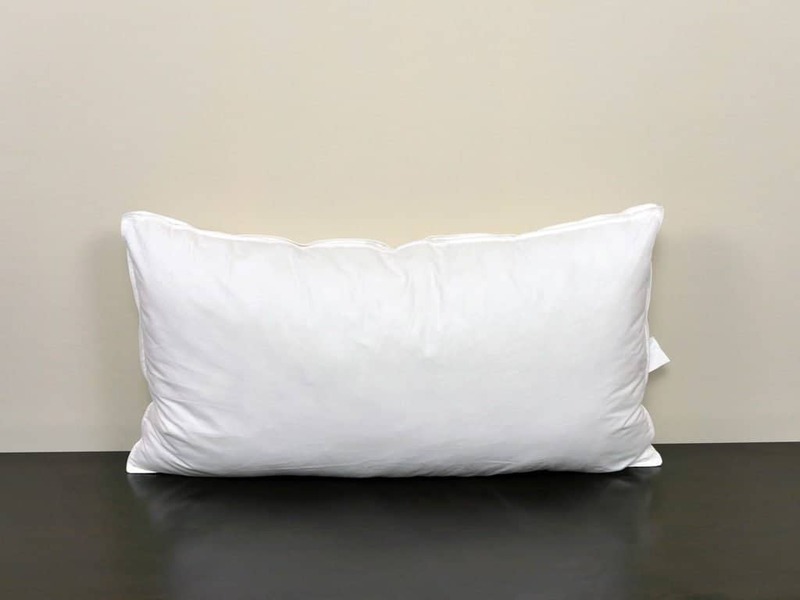 The eLuxurySupply Revoloft pillow is filled with a lightweight polyester microfiber fill. The patented Revoloft fill is designed to act like down feather pillows while maintaining a longer lifespan. The fill used in the pillow is also hypoallergenic. Additionally, a 200 count cotton cover encases the polyester fill. With regards to the build of the pillow, there is a gusset that runs along the perimeter of the cover and the cover is not removable. That said, it is washable. The gusset was built into this pillow to add structure to the pillow and create more room for the pillow’s interior fill to move around. Therefore, the pillow’s feel remains the same regardless of which way you sleep on it. The cover of the eLuxurySupply Revoloft pillow is built from a 200 thread count cotton fabric. By using a slightly lower thread count air is able to more easily flow in and out of the pillow, helping to avoid a warmer sleeping environment. Aesthetically speaking, the cover is basic. An all white color scheme wraps the entire pillow. The gusset does a nice job of breaking up the pillow’s all white design, but there is no standout design pattern on the pillow as a whole. I will say the stitching around the cover seems very well done and helps provide a clean look. As a slightly higher lofted pillow, the eLuxury pillow is one that took some time for me to get used too. Although it has a nice, soft feel, sleeping on my stomach was difficult. Reason being, the loft of the pillow is simply too high. Given the height of the pillow I would not recommend this pillow for most stomach sleepers. It’s much better suited for back and side sleepers. I spent most of my sleep test on my side and back. Despite the relative softness of this pillow, it still does a pretty good job supporting the neck due to the loft and fill level. Personally, I enjoyed the pillow more so while sleeping on my sides. Sleeping on my back was fine as well, but as I rolled over to my sides I felt as if the pillow sank slightly deeper, cradling my head and neck better. While I couldn’t sleep with this pillow in a traditional stomach sleeping position, I was able to get about halfway there, sort of between my stomach and side. The King size version on the pillow is almost like a mini-body pillow. The larger size, loft, and relative softness of the pillow allowed me to sleep comfortably with the pillow supporting my head, neck, shoulder, while being partially under my chest / mid-section as well. Response time is one of the more impressive characteristics about this pillow. Although it is filled with a polyester fiber, I expected somewhat of a slower response. However, that was not the case. The fill feels closer to that of a down pillow, but responds much faster. Through my previous experiences, down feather pillows will absorb the pressure from your head and neck, but take longer to recover when changing positions (and require frequent fluffing). On the eLuxury Revoloft pillow, I was able to change positions and place my head back on a fully fluffed pillow. This is where the gusset of the pillow comes into play. By using a gusset, the internal fill is able to more freely move around and fill space while being lied on. This can be a major benefit for the sleeper who’s looking to avoid the stuck or trapped feeling some pillows create. All things considered, I’m a fan of the Revoloft pillow. As noted before, I typically enjoy sleeping on my stomach, but sleeping on my side and back were much more enjoyable while on this pillow. 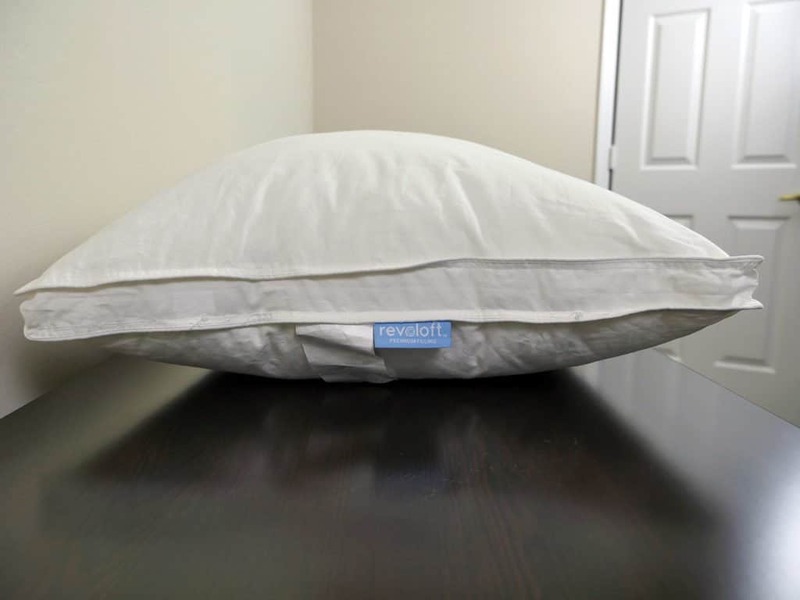 If you’re a side or back sleeper who is either looking for an excellent value or simply wants a new pillow, the eLuxurySupply Revoloft pillow is certainly one worth considering. Who should buy the eLuxurySupply pillow? Sleep on their back or side – sleepers who spend most of their sleep cycle on their back or side may find this pillow much more enjoyable than a stomach sleeper. The combination of polyester fill and gusset work together to help the eLuxurySupply Revoloft pillow not get too thin while lying on it. Therefore, providing better support and spinal alignment for back and side sleepers. Like the idea of a medium high / high lofted pillow – when it comes to loftiness in a pillow, not everyone enjoys the higher lofted feel. Even some side and back sleepers may like a more neutral, or even a thinner pillow. If you’re considering the eLuxury Revoloft pillow, you’ll want to be sure you’re okay with a higher lofted, more responsive pillow. Want a great value – at $42 for a standard size, this pillow offers a great overall value. The quality and performance you receive for the price you pay is hard to beat. For more information on the Revoloft pillow visit eLuxurySupply.com. The eLuxurySupply Revoloft pillow is an excellent choice for side and back sleepers. The higher loft, faster response time, and gusset construction allow for very good support as well as a comfortable night’s sleep. 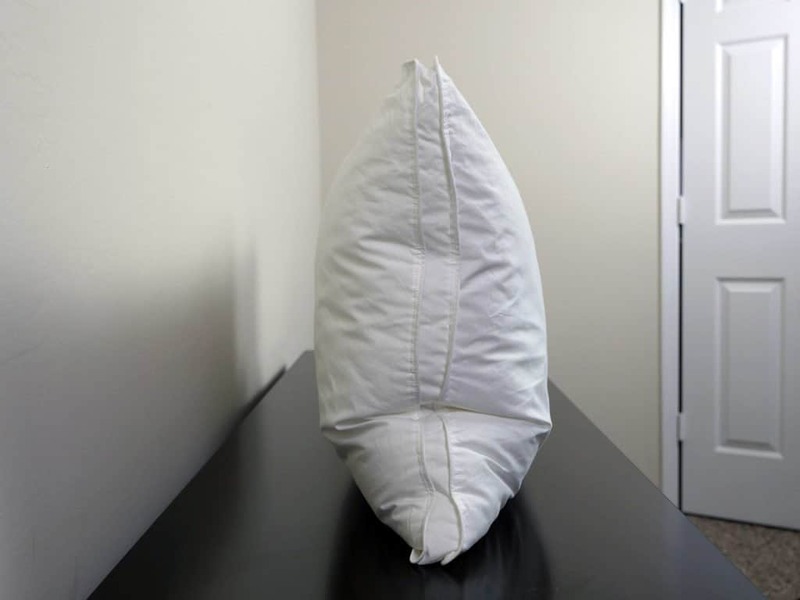 With a feel similar to that of a down pillow, the Revoloft is able to provide the softer more supportive feel without the issues associated with down feathers. Whether you’re looking for a great deal or simply want a new pillow, this is not one that should be overlooked.